Alpine meadows full of wildflowers await you! We are really looking forward to our 12th season with new guests and our return guests. 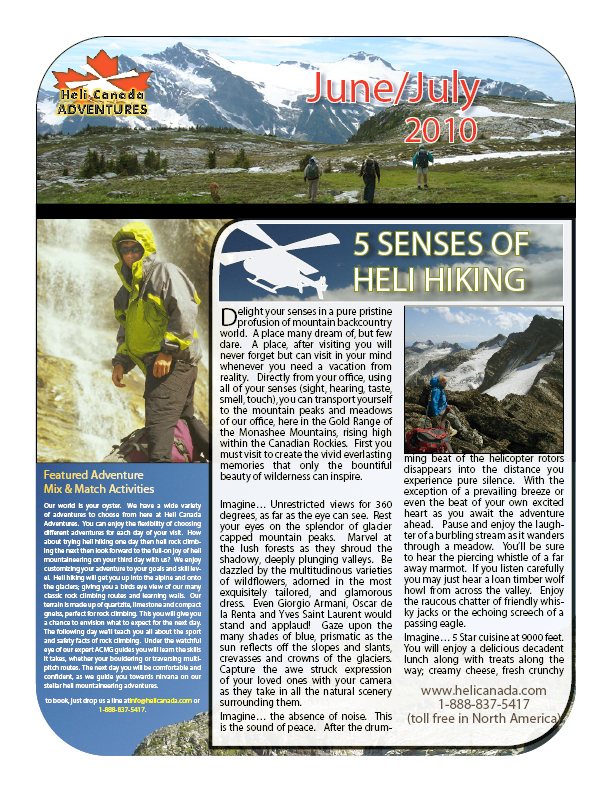 Enjoy the 5 Senses of Heli Hiking. We look forward to seeing you in the alpine meadows this summer.